Six highly regarded artists, three published authors and one talented theatrical company come together for A Festival of Tales, on from November 2017 until January 2018. Inspired by local heritage it sees Ormskirk invaded by fairy inventors, a giant gingerbread man and a red devil, all promising a memorable visit to the town. The imaginative artworks are on display, in locations around the Ormskirk town centre, and provide an alternative high street experience during the pantomime season. 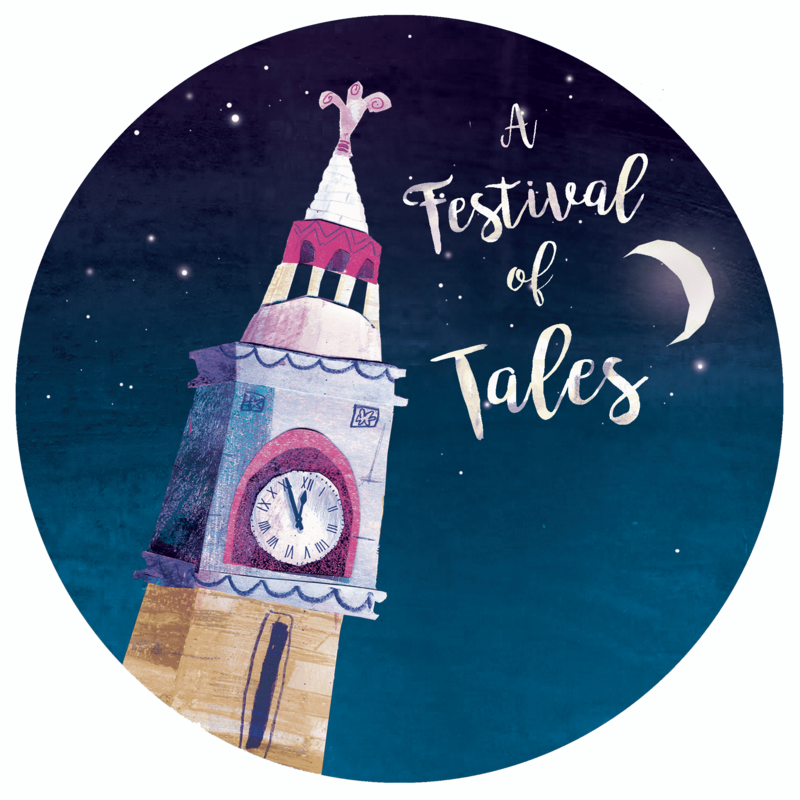 A Festival of Tales is the result of a successful lottery application and collaboration between West Lancashire Borough Council, the Town Centre Management Group, Edge Hill University, local businesses, schools and community groups. Su Blackwell’s will create ‘The Clock Tower (Ormskirk Clockmakers & Watchmakers)’, the lynchpin artwork in the town. 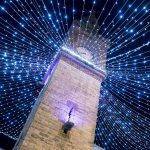 The Clock Tower shows her intricate handiwork and celebrates Ormskirk’s historical associations with clock and watch making. Often working in the realm of fairy-tales and folk-lore, internationally acclaimed artist Su Blackwell predominantly works with paper. This delicate material shows the precariousness of the world we inhabit and how fragile life, dreams and ambitions are. Samantha Bryan’s has a great imagination, pleasing anyone who enjoy flights of fancy. Inspired by Victorian gadgets and inventions, her unique sculptures show everyday life in fairyland. For Ormskirk, Samantha has created ‘Time Flies’, consisting of fairies and an intricate timepiece. Visitors to the town also have the opportunity to create their own Ormskirk Oddity at workshops in December. See Events for more details. Matthew grew up in West Lancashire. As a very successful illustrator, sculptor and writer, he has a cult following internationally. He has created ‘King Cookie’ for A Festival of Tales. This fun sculpture creates a legend around a long-forgotten Gingerbread Giant, clambering up Ormskirk Clock Tower. The scene is inspired by King Kong scaling The Empire State Building. A funny love story about a giant gingerbread cookie and delicious Victoria Sponge. Please be warned that there is a sad ending to this beautiful relationship as, ultimately, the cookie crumbles! The cookies have been designed and created by members of Divine Days, a community company. Participants thoroughly enjoyed creating their own artworks for this project and will see their pieces exhibited as part of the festival. Ormskirk based artist, Gill Smith created ‘Shop Folk’. It includes a series of diorama celebrating the ‘proper Lancashire’ small independent shops. Retailers that have inhabited the town over the years including the Sweet Shop, Cobblers and Clockmakers. Gill worked with community group Learning Stars, whose fantastic characters that will be exhibited alongside Gill’s own piece. Gill has also been worked on the branding for this event and has created a series of illustrations that depict the town’s better-known landmarks. These beautiful illustrations have been featured on a range of quality gifts that can be purchased from the Chapel Gallery. Ormskirk based artist, Angie Thompson creates a magical fairy tale brought to life in a series of dioramas. Inspired by conversations about Ormskirk’s history as a bustling market town. Animals traded at the market over the years are depicted in Angie’s beautiful, illustrative work ‘Menagerie’. Melanie Tomlinson is a UK illustrator, combining illustration and metalwork to create three-dimensional manuscripts. She has completed commissions for high profile clients such as RSPB. Melanie’s Ormskirk inspired work ‘A Day In The Life Of The Clock Tower‘, is a colourful, spinning praxinoscope (19th Century animation device) showing Ormskirk Town Centre on market day. Melanie’s fascination with the relationship between people and nature is explored through illustrative sculptures. This story reimagines and extends the local legend of the two sisters, incorporating other local landmarks to create an enjoyable story suitable for the whole family. Orme, the Viking founder of the town, has two daughters who can’t agree on a thing. When the family arrive in the spot where Ormskirk will be built, Orme uses his dragon staff – once the prow of his ship – to help him build a village from the marsh and cloud. When he makes the Kirk, his daughters argue so much over whether it should have a tower or a steeple that in the end, he builds the church with none. With Ormskirk created, Orme hides his dragon staff away and settles down to a quiet life of farming and prayer. But though Orme has left the old magic behind, his daughters have not. The girls are taught by their Grandmother how to nip in and out of the blanket of time that she sits to weave by the fire each night, and they chase each other through history. Using their father’s dragon staff, they create havoc, adding first steeple then a tower to the church, and conjuring a ship, then a mountain in the centre of the town before all is put right. This story provides numerous points of recognition for both locals and new visitors. The aim is to create a sense of the magical world of the story in the everyday world of the town, and to imaginatively engage families with Ormskirk’s history and lore. Orme likes to talk about his glory days. If only the youngsters believed his stories, he’d be a hero in these parts. As it is, they tend to laugh, or ignore him, or worse. But they’ve underestimated him, and soon they’ll know about it. Born in the eighth century on land we now call Sweden, Orme was a Viking then, and in his heart, he still is, though in 21st Century Ormskirk that doesn’t tend to mean much to people. Like he tells anyone who’ll listen while he’s supping away his days on the tables outside The Golden Lion, he used to be pretty big news. Under the Viking Sea King he set off to Scotland to seize land for Viking settlements. He took no prisoners and was as skilled as any man on the seas, though it was the temper he was known for. Mad rages which near frightened his men to death. Sometimes he even chucked his weapon on the floor and just ran at the enemy, arms outstretched, roaring. Once, he punched a bear and crushed its skull in one go. Though maybe, he tells a curious young guy in The Golden Lion one winter afternoon, he should control his temper. After all these years, it’s about time. He looks down at his leg, cut off above the knee and says, ‘Perhaps I’ll never learn.’ Over the course of a long afternoon getting steadily sozzled among the stalls of the Ormskirk Christmas market, Orme tells the young guy about his adventures, about all the men whose lives he ended, and his dream of taking Scotland. He reminisces about how, when he heard that one of his 10th Century descendants had settled here, giving the town his name, he knew he had to see the place. He’s been populating the pubs of the town ever since, telling his stories, waiting to be appreciated. Orme tells the young guy that has made some friends over the centuries, even fallen in love once or twice. But the temper always got him in trouble, and in the end, he always seemed to find himself alone at Christmas. But this year, he tells his new friend, it will be different. Whatever happens, this year will be different. He’s sick of waiting for things to change. This story takes place in modern day Ormskirk. It revolves around Lucy Morris, a teenager at Ormskirk High School who has been set a research task involving the Ormesher murders for her school History project. She sets about interviewing residents of the town, including her Nana Hayes, who was actually present at the sisters’ funeral procession. The family have fallen out with Nana Hayes and the act of researching the murder of the two women – one of whom bears a striking resemblance to Lucy’s grandmother – will motivate Lucy into bringing the family back together. This will be a coming of age story, as Lucy – who takes her research project far more seriously than the rest of her class – gets her first glimpse at the horrors of the world. Lovers of theatre are not to be disappointed by ‘The Devil’s Wall’, the last of the commissioned works in A Festival of Tales. This theatrical experience is planned to take place in the heart of Ormskirk Town Centre on Sunday 3rd December at 3pm. It’s devised and performed by Wives’ Tales Theatre Company and includes participation from the local community and Edge Hill University students, ‘Wives’ Tales’ co-director Alice Lapworth will bring an old fable about a Tailor, his wife – a baker – and the devil to life. This performance is about time, identity and love. The ensemble will use the folktale narrative, ‘The Devil’s Wall’, to explore Ormskirk’s heritage.